Faith – It’s EVERYWHERE, it’s EVERYWHERE!! 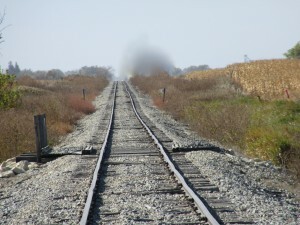 These tracks go somewhere. Just because we can’t see their destination doesn’t mean they don’t have one. Similarly, people may say they don’t believe, but often suspend rationality. This is true in the internet world. For example, I replied to a FaceBook message from a woman I’ve never personally met. Her page cited her as a writer, so I asked what she wrote. She sent a message: Nothing. I know I ought to be writing, but something in me keeps me from taking action. I don’t know if it’s fear of failure, or what, but my so-called writing is nonexistent at this point. My reply: I’m a born cheerleader for people who have even one iota of an inkling that they’d like to write. I mentioned that I’d put off my desire to write for many years, so could relate to her situation. Later, she let me know that she rarely checks her FB messages, and received mine by some fluke in the system that had never occurred before. (Do you get the picture that I’m no pro at using these tools?) Anyway, I answered that I’m not so hot at FB, either, and gave her my e-mail address. Well, I’d say maybe we’re meant to continue our conversation, and that some other power besides Google must be in charge of the airwaves. The more I think about it, seems that Internet users exhibit raw faith. We trust this manmade technical tool will work. We trust these messages we send, unseen yet real, will reach their destination. And we trust that malevolent hackers won’t interfere and send our lives into a tailspin. 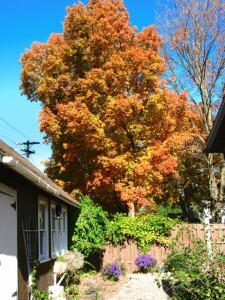 Our belief is a kind of “knowing,” like the assurance that leaves turn fiery orange in autumn. But there’s really more evidence for the latter–we’ve seen it happen year after year. Faith manifests in many modern arenas, though naysayers deny the facts. But this internet one escaped my notice so far. When I complete this article, I’ll edit it a few times and eventually post it or send it to some other blogger who’s invited me to visit. Their blog—tangible in one sense, highly intangible in another. It’s all about tuning into the right address, calling up the blog’s presence, and embracing its power to aid communication. Kind of like another unseen, but totally real presence. Reminds me of the excitement I feel today as my debut novel wends its way from New York. I trusted that it would be published, and now, that it’s been mailed. Seeing it for real will confirm what I’ve believed, and also be pure FUN! Of course, then I need to trust that readers will come … if you write it, readers will come. 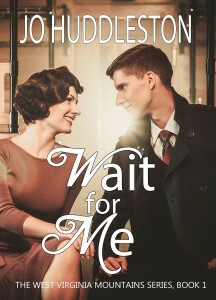 My Debut Women’s Fiction is Releasing Soon! 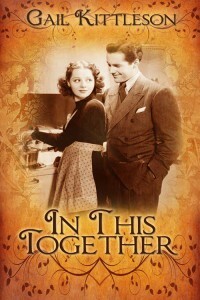 Yesterday I received the official release date from The Wild Rose Press for my debut novel, In This Together. Here’s the cover – I guess you can see I’m excited. 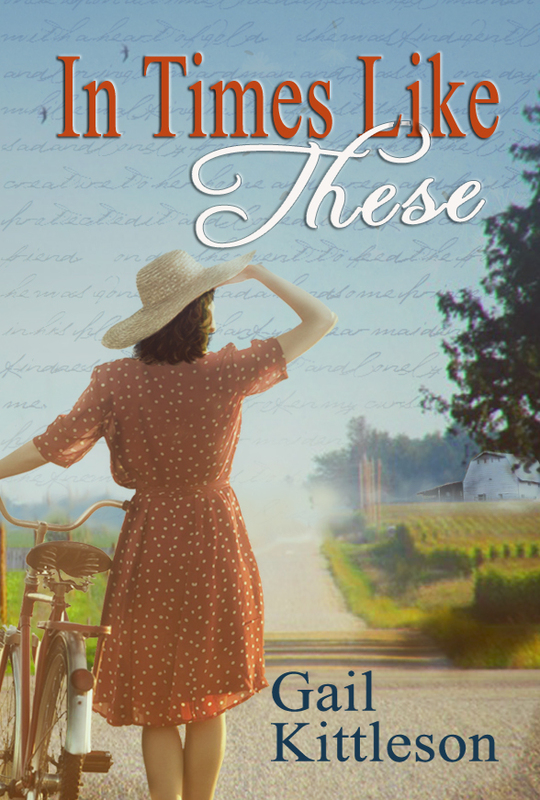 Wild Rose publishes romance of every kind, so you should know right off that mine is classified SUPER SWEET … in other words, it’s a lovely midwest World War II era story that won’t even make you blush. Probably every author dreams of readers falling in love with their main characters, and I’m no exception. Dottie Kyle, my heroine, would be great company along life’s journey. 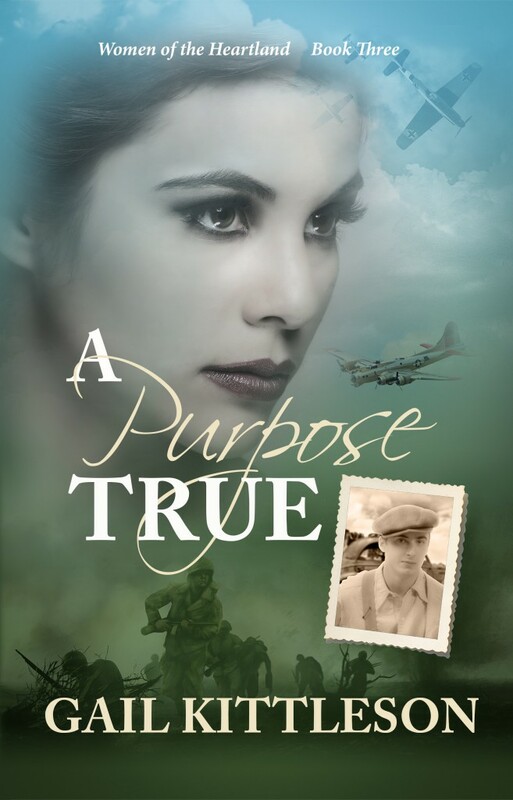 She’s forthright, a hard worker, and slugging her way through losing her son in WWII without self-pity. 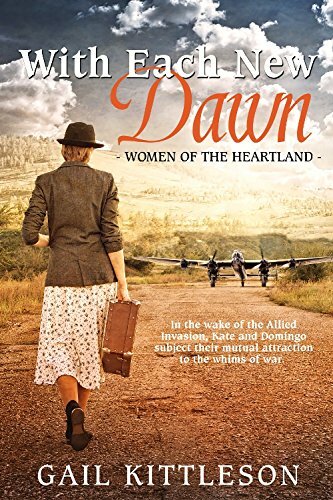 Her husband died just after the war, too, so she took a job at a boarding house in their small midwestern town. This gives her a reason to get up in the morning. She enjoys providing nutritious meals for the male boarders, who keep to themselves. But challenges arrive with a new employee, and true-blue Dottie tolerates the situation. Eventually though, her employer’s nasty behavior tweaks Dottie’s sense of justice and she’s forced to speak up. At the same time, widower neighbor Al, husband of the best friend Dottie lost to cancer some years back, starts paying sudden attention to Dottie. She’s surprised to find she actually enjoys his company, and shares more of her feelings with him than she’d ever imagined. Then, Dottie’s daughter Cora in California needs her desperately during a frightening turn in her third pregnancy. 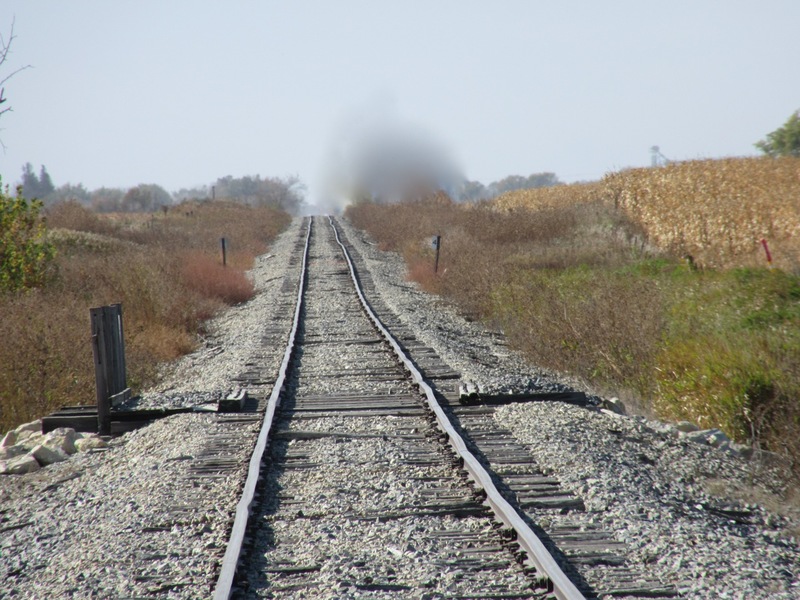 Will her longing to meet the two grand- babies whose voices she hears over the crackly telephone line be enough to overcome her debilitating fear of enclosed spaces … i.e., the train trip necessary to facilitate this meeting? Or will she accept help from someone desiring with all his heart to share life with Dottie? So, to all those I’ve met in the past few years–my friends at the Cedar Falls Writers Conference, author and editor colleagues far and wide, and my friends and family, thank you for your encouragement and patience. 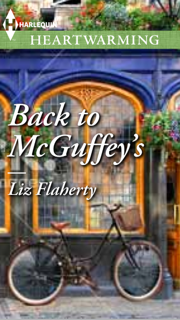 The road to publication may have been loooong, but it did take me to the desired destination. And I hope you enjoy Dottie as much as I do. She’s quite a gal! Oh, I seem to have forgotten one important fact: the release date is November 18, 2015. Can you see I need all the help I can get with promotion?!?! 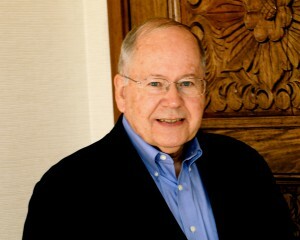 Please welcome Richard L. Mabry, M.D. to our blog today. 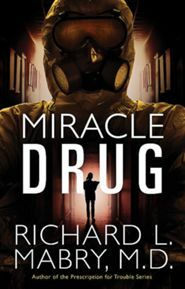 He’s the award winning author of Medical Suspense With Heart, as well as the Prescription For Trouble series (Abingdon), Stress Test, Heart Failure, Critical Condition (Harper Collins), and Fatal Trauma (Abingdon) To one fortunate commenter this week, he’ll give away a copy of Miracle Drug. There’s a song in the musical, The Fantasticks, called “Round and Round.” In it, the couple sees only the good things that go by, even though at times the view from the carousel is of scenes that are less than pleasant. Why do I bring that up? I mention it because the view of writing from the standpoint of the pre-published writer is much different than the one seen by the author who has at least a couple of books under his/her belt. Before I got a contract for Code Blue, my first novel, I wrote four novels over a period of four years, garnering forty rejections in the process. And that’s nowhere near a record. Although some authors (like Gayle Roper) got a contract for their first novel, others (like T Davis Bunn) collected lots more rejections than I did before a publisher liked his work. Eventually I, and lots of other authors, prevailed. However, shortly thereafter I also learned something interesting: that contract wasn’t the end. It was just the beginning of lots more work. First, I quickly discovered that, although my novel might be good enough to make an acquisition editor happy, it would go through a series of edits and rewrites before it saw print. And all those edits and rewrites involved me. Did it make the work better? Of course it did. Was it time-consuming? Yes—but I learned with each editorial letter and rewrite. In addition, there was the process of cover design, a process I’m pleased to say I’ve been involved in for all my novels. That’s nice, but also takes a bit of time. In addition, there was the back cover copy and author information. It was necessary writing, but took some work to accomplish. Then there’s marketing. Although the publisher works at marketing the book, there’s a good bit for the author to do as well. And I learned very fast that no one wants a book to be read by a wide audience more than the author does. Say what you will about “the good old days,” but nowadays it’s a necessity for an author to be active in social media and other aspects of keeping his/her name and work before the reading public. 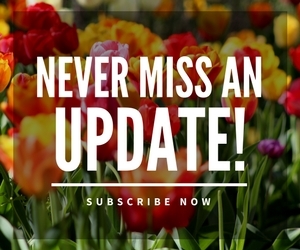 Don’t forget, of course, that this includes not only their own website and blog, but being available (and even making arrangements) for guest blogs and interviews on the sites of others. Oh, and while all this is going on, the writer should be at work on their next book. After all, none of us want to be a one-trick pony. And after the first and second come…you guessed it—the third. Authors who quit after the first book aren’t unheard of, but they’re rare. It’s even been discovered that Harper Lee, who supposedly stopped after writing To Kill A Mockingbird, had another book sitting in a trunk or someplace. Now, imagine trying to keep all those plates spinning. That’s where I’ve been for a while: arranging to get out the news about my forthcoming book, Fatal Trauma, while finishing edits for the next one, Miracle Drug (due out in September), and keeping up interest in my prior novels—the so-called “backlist.” Has it required time and effort on my part? Of course it has. Would I trade it for the status of an unpublished writer? Not a chance. So that’s the writing carousel. If you haven’t been able to get on yet, don’t despair. Work on your craft and don’t give up. The view from here is pretty good, even as it goes round and round. Dr. Richard Mabry is a retired physician, now writing “medical suspense with heart.” He is an active member of International Thriller Writers, a past Vice-President of the American Christian Fiction Writers, and a member the Romance Writers of America. His eight previously published novels have garnered critical acclaim and been recognized by programs including the ACFW’s Carol Award, the Romantic Times’ Inspirational Book of the Year, the Inspirational Readers Choice, and the Selah Award. His novella, Rx Murder, released via Amazon in April, and Abingdon Press published his novel, Fatal Trauma, in May of this year. Miracle Drug is scheduled for release in September. You can learn more about Richard on his website (http://rmabry.com) and blog (http://rmabry.blogspot.com). He can also be found via his Facebook author page (http://facebook.com/rmabrybooks) and Twitter (http://twitter.com/RichardMabry). I’m glad to have Renee Blare visiting today, and hope you enjoy reading her take on creating a novel – in my favorite line, she tells us what gave her whiplash! 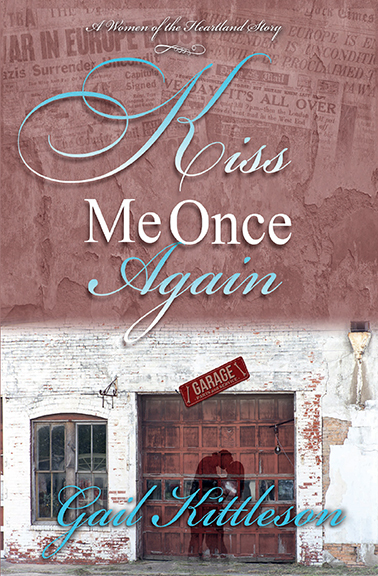 And if you’d like to win an e-copy of Renee’s new release, please leave a comment. You want to write a book. In fact, you’ve started a plot line or rough draft of one already. Now what? A book’s like a child. Different stories float around inside every author’s mind, flowing out in a way much like labor. Some authors plot, others don’t. And still others combine the process in a convoluted method. Like birth, no matter how the words eventually find their way to the page, the development of a book doesn’t stop with its first dawn. 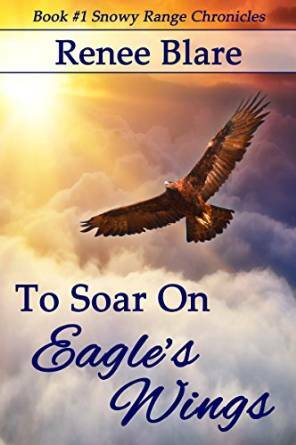 Take my new release, To Soar on Eagle’s Wings. Five years ago, I wrote my first book in three months. The word flowed like a river from my mind and heart. It was awesome! I couldn’t believe it. God brought the plot together in a phenomenal way, and I knew it was meant to be. I decided to take the next step. Publication. I asked myself the question every new writer asks…how do I get published? What a question…and an eye opener! Have you seen how many different ways someone can publish today? 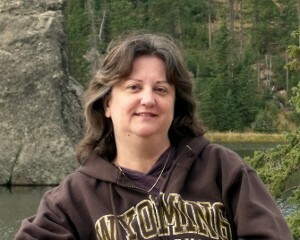 So, I joined ACFW (American Christian Fiction Writers). Instead of putting my new book on a shelf, I discovered how to truly write a novel. You have to understand. I’d never penned one in my life. That’s not saying I hadn’t ever written anything before. I loved to write short stories, and poetry, and I’d read every type of book imaginable. But as far as writing one…no. And it showed. Abundantly. I look back at that first rough draft now and realize why I’ve rewritten the thing four times. Ever heard of head-hopping? It was atrocious. I gave myself whiplash. It took me a couple of hard years to learn the rules of creative writing, but I removed all kinds of nasty little things woven in the manuscript. After that, I discovered the plot holes and restructured my “perfect” story at the advice of an wonderful editor. Was this in the hope of landing a contract? No, I did it simply to make the story better. 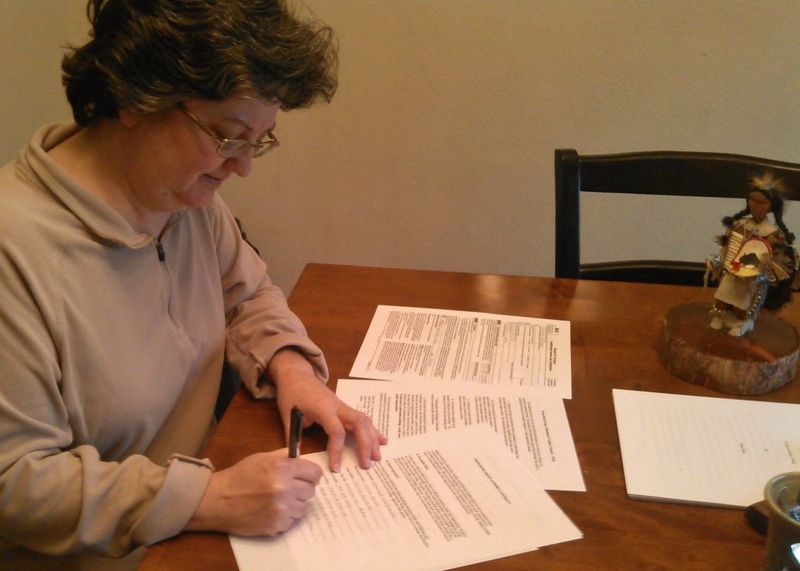 Did any of this stop or get easier after I signed on the dotted line with Prism Book Group? No, in fact, I believe I underwent tougher edits courtesy of my awesome acquisitions editor, Susan. The sun has risen and set on To Soar many times to get it to where it is today. And no story’s ever perfect. As a writer, you will always continue the editing process if it’s left up to you. After all, it’s your baby, your child. You want it to be ready to face the world. But eventually, the manuscript must leave the nest. That means trusting your work, editor…your publisher that all has been done to make it the best it can be. You’ve done your part. Now it’s time to have faith, trust the Lord, and let go. No matter the outcome, He’s in control. 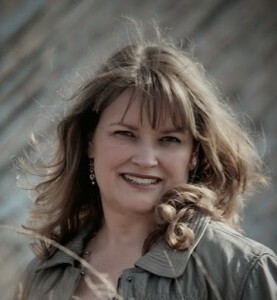 She’s published 30 children’s stories, a book The Great Church Mouse Caper and 5 teacher resource books on writing. 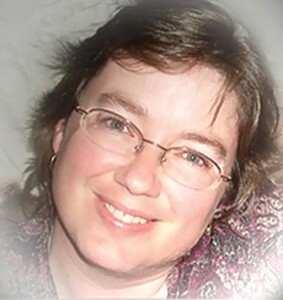 Currently she tutors students in expository and creative writing, writes for a Wisconsin Genealogy newsletter and edits thesis papers. She’s also writing her childhood memoirs along with a historical genealogical family tree involving Dutch and Scottish ancestors. She lives in Menasha, Wisconsin with her husband of 35 years, a former instrumental music teacher; they have one son and two grandchildren, 16 and 18 years old. 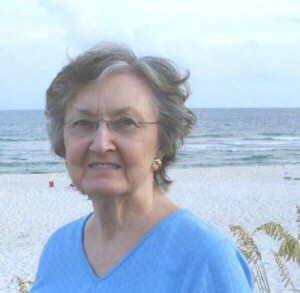 Her hobbies include: sewing, flower gardening, long distance hiking, reading, travel, photography, bird watching, writing memoir stories, singing, and charcoal drawing. She is open to editing and proofreading and can be contacted at kmbooks50@gmail.com or befriend her at Karen Porter Milligan on facebook. Have you ever thought about how many actual words you hear in a day? The number, if you could count them, would be astonishing. The sheer number of words you read in a day could be counted, but who would take time to do that? We writers and editors, who love words, handle them every day with our eyes and our minds. As a teacher of English, expository and fiction writing, I cannot fathom the billions of words that have crossed my brainwaves. You, as a writer, accept the fact that you must also edit. Re-reading, searching for mistakes, looking for anomalies, tweaking unclear phrases or spying flat-out typos can be tedious or joyful. This all depends on your viewpoint and time needed to seek the mistakes. In essay papers corrected by teachers are the following real-life examples of… well, youʼll see… History of the World, a studentʼs answer: Ancient Egypt was inhabited by mummies, and they all wrote in hydraulics. They lived in the Sarah Dessert and traveled by Camelot. The climate of the Sarah is such that the inhabitants have to live elsewhere, so certain areas of the dessert are cultivated by irritation. The pyramids are a range of mountains between France and Spain. The Egyptians built the pyramids in the shape of a huge triangular cube. Another student wrote: The Greeks were a highly sculptured people, and without them, we wouldnʼt have history. The Greeks invented three kinds of columns–Corinthian, Doric and Ironic. They also had myths. A myth is a female moth. One myth says that the mother of Achilles dipped him in the River Stynx until he became intolerable. Achilles appears in “The Iliad,” by Homer. Homer also wrote the “Oddity,” in which Penelope was the last hardship that Ulysses endured on his journey. Actually, Homer was not written by Homer but by another man of that name. A third student opined: Socrates was a famous Greek teacher who went around giving people advice. They killed him. Socrates died from an overdose of wedlock. After his death, his career suffered a dramatic decline. A fourth student expressed: In mid-evil times most of the people were alliterate. The greatest writer of the futile times was Chaucer, who wrote many poems and verse and also wrote literature. Another story was about William Tell, who shot an arrow through an apple while standing on his son’s head. Now these were honest-to-goodness students’ use of the English language which is filled with funny, odd, humorous, out-of-place ideas and phrases. The rules, if you will, about editing take twists and turns. Two words that have been added to American language are: texting and impacting. The word “text” is a noun, not to be used as a verb. Mimi just texted me and I need to answer her! Harassment used to be pronounced with the accent on the middle syllable, but is now pronounced with the accent on the first syllable. Who and where the change was sanctioned on all three words is a mystery to me. Editing will always be a mud-fuddled job. Wait! Where did that word come from? Yikes! I ended a sentence with a preposition. See what I mean? Alright, all of you writers and editors out there, keep up the good work. (Please, edit out the use of “alright!”) I give you credits to the edits! 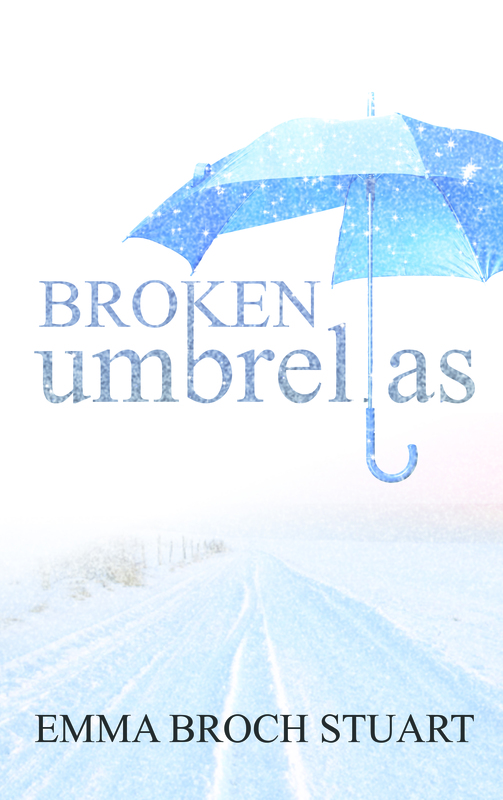 I’m interviewing Wendy Chorot, the author of Broken Umbrellas, this week. She writes under the pen name of Emma Broch Stuart. I’ve yet to meet Wendy in person, but feel I know her. 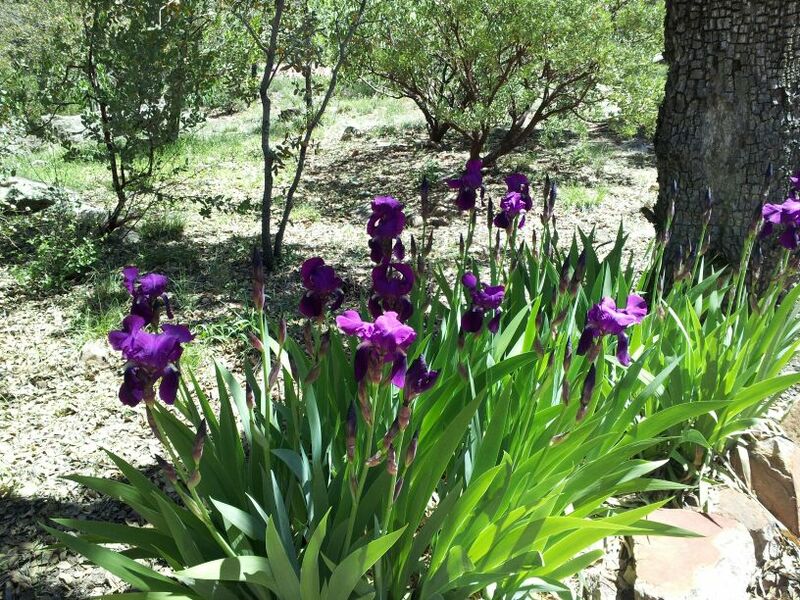 She’s that kind of gal (as my heroine Dottie would say…) so I’m delighted to introduce Wendy to you. What inspires you to write, Wendy? Everything! Seriously, I am so awed at the world around me, people and seasons, humanity and compassion, love and tears. I always want to look with eyes that really see. See beyond the surface to the beauty that is often hidden. I’ve been on the battlefield and I know that is why I love and live and dream with a fierceness that carries over into my writing. Sometimes I think I could fill an entire book about how a dandelion touches me. ha, ha They are such a sight for sore eyes after a long winter, yellow dots spring up and feed the bees, and droop in chubby hands as a bouquet of flowers for mama. And oh how us mamas love them. Yes, God uses everything to inspire me. Broken Umbrellas describes a time when you lived in Europe. I’ve experienced a little of that, and would like to hear more about your time there. I credit a lot of who I am today on my experiences in Europe. There’s something about getting out of your comfort zone that forces you to relate differently, engage in the world around you at a different level. And most importantly, see beyond yourself. I have dipped my toes in the Mediterranean, hiked mountains in the French Alps, drank wine with my baguette and cheese, breastfed under the Eiffel Tower, and made a complete fool of myself many times as I butchered the language. I have been misunderstood, ignored, lost in a big city, and served fish with the head still attached. But I have also been kissed by complete strangers, given free bus rides when I didn’t have exact change, served delicious cuisine, and most importantly, blessed with knowing Christ at a deeper level. My daughter was born there, my first grandchild buried there, and collected more than a decade of memories—both good and bad. Living in a foreign country shows you just how strong you really are. Where did you get the name Broken Umbrellas? At my precious grandson’s funeral, I spotted a broken blue umbrella flapping in the winter wind. The woman holding it was oblivious to the fact that snow was falling on her. When she moved her broken umbrella to offer protection to the man beside her, my heart was overwhelmed with the symbolism of humanity doing the same thing—“protecting” (or loving, serving, relating) in spite of our brokenness. Titles have overtaken my brain . . . What a great “title” story! What writing mentors or authors inspire you? I admire every single author at WhiteFire, they are the best group of people ever! I also admire anyone—published or not—with the courage to write and share their story. Published authors who inspire me are Beth Moore, Carolyn Custis James, and Francis Chan—to name a few. Thanks so much, Wendy. 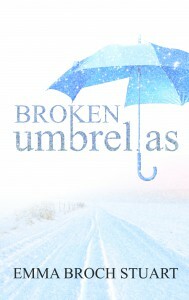 And thanks for offering one signed copy of Broken Umbrellas to a fortunate commenter. (I’ve read this book- definitely inspirational! My husband always says, “My wife has experienced more deployments than most people I know.” That’s because he counts his two to Iraq and our son’s, (one to Iraq, one to Afghanistan), as ALL MINE. So I’m excited to welcome Edie Melson as she describes her devotional for military families–this would make a great gift for them as Memorial Day approaches. Here is the link for preorder. The price is reduced and you receive a free ebook with an additional 15 prayers. to others facing the same struggles. I’ve come to realize that the seeds of faith begin their journey to the light, in the dark. As the mother of a frontline infantry Marine, I’ve been through the painful process of blooming in adversity. Neither I nor my husband come from a military family, so our son’s decision to enlist straight after high school caught us off guard. We weren’t ashamed or disappointed in him, although we were worried about where this decision could take him. But we could see his sincere desire to follow God’s leading and knew that wherever this road led, God would see him through. But as he got ready to leave for his first deployment in Iraq, all those thoughts of faith and how God would take care of him fled. I found myself engulfed in a terror so deep it colored every corner of my world a murky gray. Throughout the last couple days, I was overcome with fear and uncertainty. As we sat down to eat, I couldn’t help but wonder if this was the last time I’d share a meal with him. As he posed for a picture with his brothers, in the back of my mind was the fear that this would be the last picture I’d ever have of him. All through that time, the what-ifs continued to crowd out the faith I thought I had. I learned to take my overwhelming fear to the only One who could protect him. And I left my son in God’s hands. The prayers weren’t pretty. Often times they weren’t even words. They truly were the groanings we read about in Romans 8:26-27. I didn’t realize it at the time, but I was like a seed, planted deep in the ground, surrounded by darkness, by rough, rocky soil, pressing in on all sides crushing the life from me. But through that incredible pressure, the shell of my own strength fell away, and I slowly began to push toward the light that I knew lay just beyond the darkness. And my last resort became my strength, the first place I turned. Instead of praying in desperation, I began to pray in confidence. When the fears threatened to overwhelm me, I learned to lean into God, instead of turning in on myself. 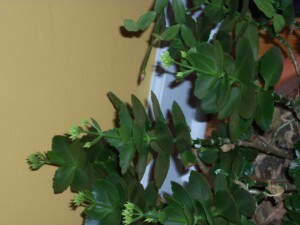 The final harvest of that time of darkness is coming to fruition May 12, just after Mother’s Day. 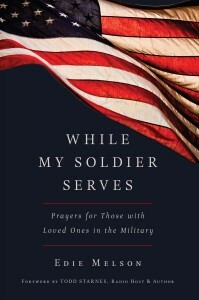 It’s a book of prayers for those with loved ones in the military, While My Soldier Serves. How I longed for just such a book during that dark time. Now God has taken my time of darkness and is shining it as a light for those who are also facing the incredible stress of having a loved one at war. Edie promises to send a book to one fortunate commentator when they arrive, so please leave your e-mail address. Thanks for stopping by! 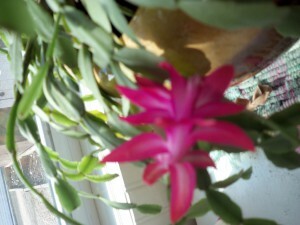 I came home to one Christmas cactus bloom. Yes, one. And then, another popped open. 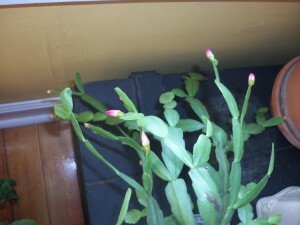 But that was it for the entire plant. 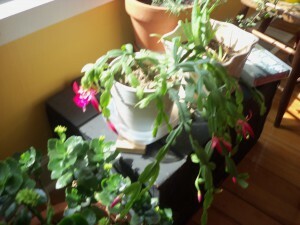 A few days later, my other Christmas cactus showed signs of letting loose. Just goes to show, we never know what will happen any given season. Imho, that’s part of the joy of gardening. 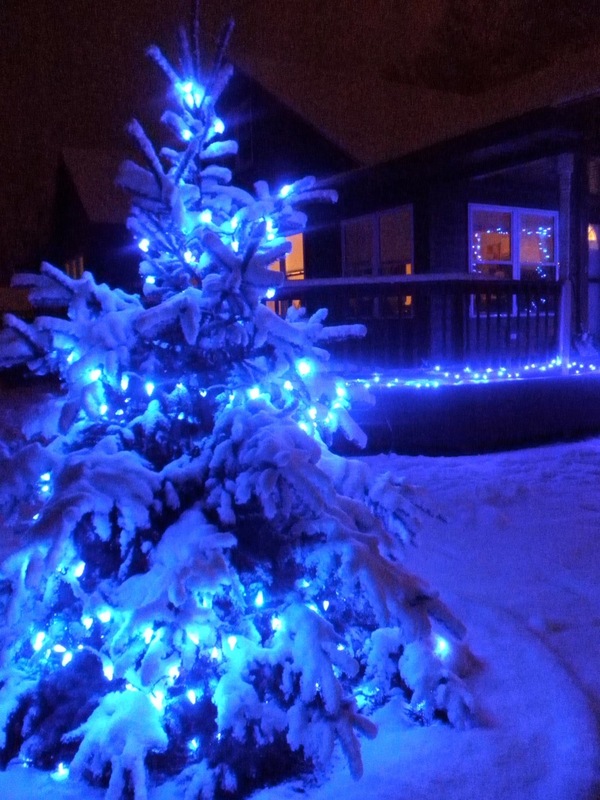 We await something, not sure exactly what it will be, or when, but pretty certain it will be bright! 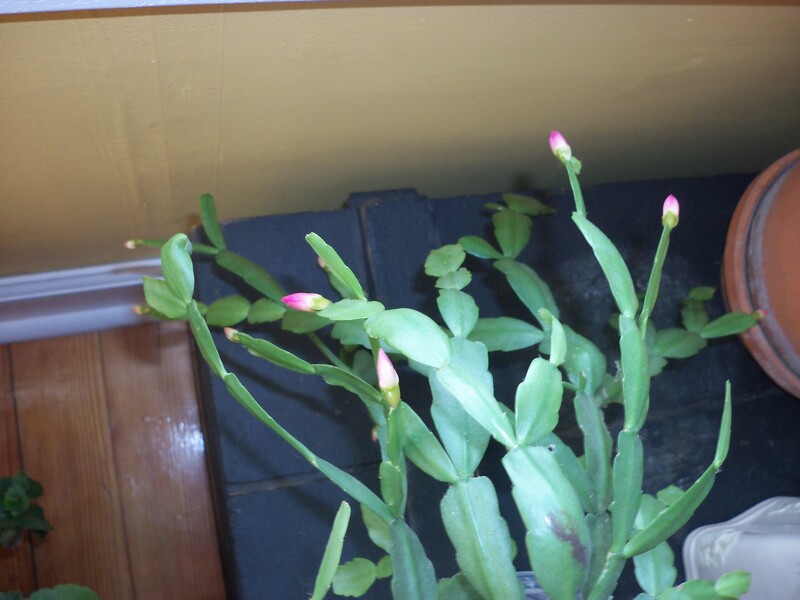 Next to the productive cactus, a kalanchloe that blooms gloriously outdoors during summer, prepares to make its springtime statement. I need to transfer this lesson to my writing endeavors, where I’m much less given to the joy of the moment. No, I’d like a little better idea when certain manuscripts might make their debuts into this uncertain world, thank you very much. Today, Easter Sunday 2015, I must add another picture of the second Christmas cactus, which has burst into a riot of color. 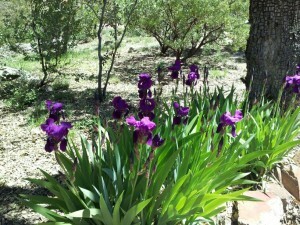 Meanwhile, my Arizona neighbor tells me the wild irises there have gone WILD with blossoms. Gotta remember that surprises count for part of the joy! 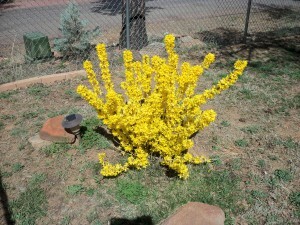 Happy Easter, everyone, and may your blossoms last as long as possible.